During the years we made some projects concern ecology, cultural projects, FF and casting events, we developed FF gear and we were involved in major national competitions. 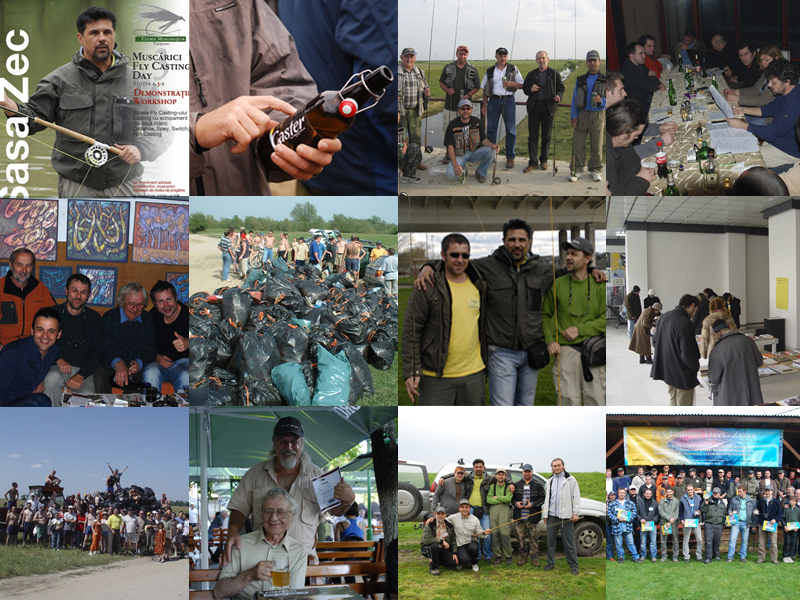 This year we’ll make our first grayling population in western part of Romania, casting events, some local competitions. Starting with 2001 when we made our first project – the ecological cleaning action of the Timis river banks, we did a large range of projects with the support of our own companies: DataGroup International, Idea Design & Print Timisoara, Idesign and Gabbro.Our projects could be organized in: ecological projects – cleaning rivers and river banks, spotting places to clean for larger organizations, populating mountain rivers; cultural projects – art and book exhibitions, support to cultural local events; Muscarici Casting Days – casting events with EFFA and IFFF invited accredited instructors; FF events – we organize FF events through the country, we are partners to national events; support to national FF competitions since 2003, with visuals, prizes, gear.